For Spyder, the makers have invested an whopping 110 crore budget and they don't want to miss the date. Already, Mahesh completed shooting for the bilingual in the direction of A.R. Murugadoss barring two songs which he wishes to shoot in the next month. Also, we heard that Balakrishna and Puri Jagannath are keen on 29th September date and they don't want to postpone their movie further. As they announced the release date before hand the producers are keen on sticking to their plans. As, Kalyanram is the producer and he does not want to clash with his beloved uncle, Balakrishna, the actor may decide to prepone the movie. 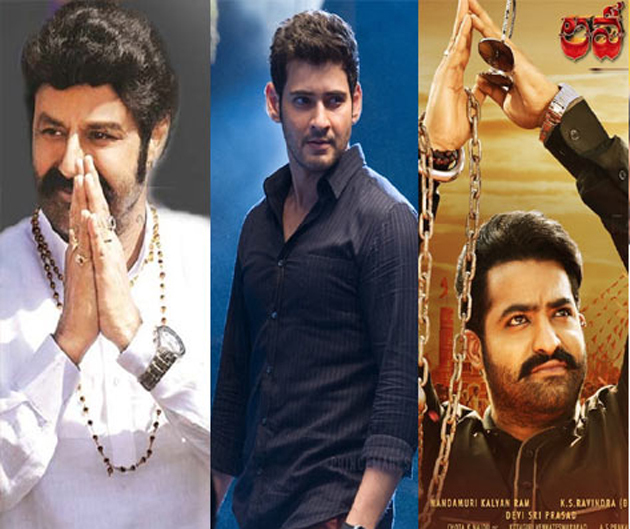 Also, from the industry insiders, we go to know that Dil Raju the premiere distributor from Nizam, requested the makers to change the date and see that the movie has at least two weeks gap from the other two biggies. Well, we need to wait for the official confirmation of release date from the Jai Lava Kusa team, now. Also, the movie team has planned to release a teaser introducing all the characters of Jr. NTR from the movie, in the 1st week of July.